'Learn to Love' samples Cameo - Interlude (Serenity) off their 1983 Style LP. Great tune! I don't mind contemporary artists sampling great tracks from the past...so long as they do it well. 'Sing About It' is an ab-so-lu-te monster reworking of an old classic 70s Brazilian hit from Burnier & Cartier called 'Mirandolina'. I just cannot stop listening to this LP, it is so fantastic. With strong elements of soul, broken beat, hip hop and house this truly is the real deal. 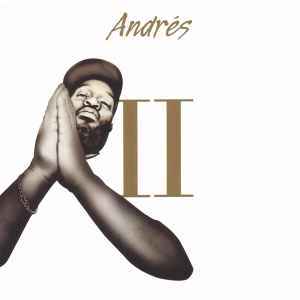 I do not have much knowledge of Andres or any of his other releases but going by this LP the man is an outstanding artist. I come across this through the Moodymann stuff and I am so glad to have done so. Get this while you can because from my understanding the Mahogani label only press so many and this is not a record you want missing from your collection.